Kista Light has been a tourist in Malmö one day and stayed at Eriksfälts hostel. Of course we do a Zlatan Tour! 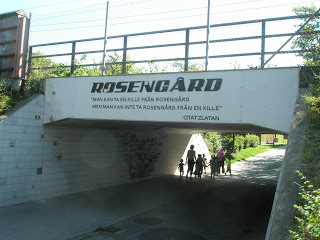 Start at the underpass up to Johan Cronmans road in Rosengård. Will not all future guide tours in Malmö have any Zlatan stop? 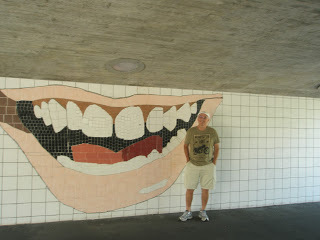 Kista Light laughs catching up with the famous smile during Annelund bridge. The lifeline to Rosengård, where the trains rumble past! Mona Lisa, Leonardo da Vinci, throw yourself into the wall! 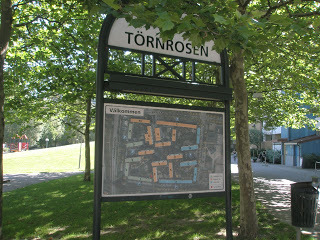 Törnrosen - yard where Zlatan laid the foundation of his feints and his football artistry! Kista Light is convinced that all people want to take responsibility for their lives. The key to a residential area and its social problems is that there are jobs for those who live there and the residents will have the opportunity to influence their own lives with their work as well in Rosengård as in Limhamn. Multiculturalism, linguistic confusion, chaos and conflict! Zlatan ground Johan Cronmans road. Plot for days on gambling toddlers when we are visiting. Kista Light establishes a class trip in Zlatan's footsteps around Malmö! From the football field in Rosengård down to Gustav Adolf Square in the old town is just a few minutes drive along Admiral Way. Kista Light on Rooseum (15 minutes from Rosengård) now Modern in Malmö. The middle class own playground! Where we chaps politically correct vegetarian soup, butter slantade salt flakes to leaven baked bread and you can cut thyme, tarragon and any additional green over the soup and sandwich. Kista Light cheated and took the other soup with ground beef and curry spices. You have to have something to stand on during the day if you are on a journey through the social classes Malmö. 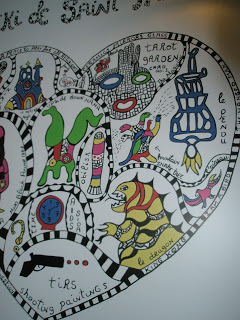 Piece of the presentation page of Niki de Saint Phalle. The girl, The Monster and The Goddess. Kista Light sees around corners but tinkering yet to shoot around a corner of the picture hanging in a stairway thereof cut above. Niki SP is one of two retrospective exhibitions and photographer Irving Penn is the second at the Moderna Museet Malmö. 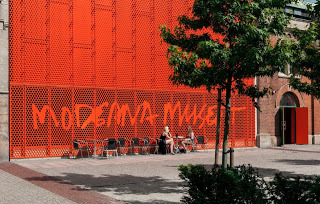 Both, we are familiar with from before exhibitions from Moderna in Stockholm! Western Harbour in Malmö where the old Kockums shipyard low and where a significant part of the working class in Malmö had their incomes. Today, a growing district of the new service economy! There Malmö University, Skåne Dance Theatre, World Maritime University, Media School, City Archives and chic homes. Homes that hardly a poor worker can afford. Sure enough, nor a crispy teacher's or a nurse's salary far such things accommodation! 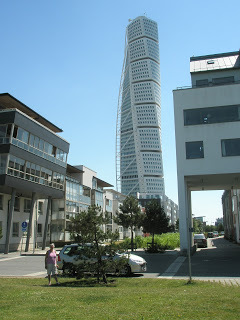 Looking at the top of the Turning Torso is a rotatable crane with a small elevator used for window cleaning. There, one can imagine that the trimmed windows when the weather is nice and it will be offered on the mile wide views across the sound, bridge, beautiful sunbathers on Ribersborgsarea and Malmö social terrain. Kirseberg, Husie, Rosengård, Fosie Möllan, Bunkeflo, Hyllie and Limhamnsway be plenty good enough for a little rap. Perhaps it is a citizen of Rosengård with exotic sounding names like wielding window scraper when the time comes. Who knows if our window cleaners peering down towards Limhamnsway so you may spot a red Ferrari! 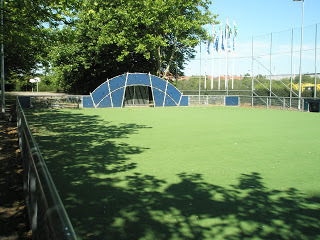 Is it then Zlatan is at home visiting his grandiose villa so-so 20 minutes from Rosengård. Sure, Zlatan is an amazing success story of the modern Swedish welfare and as told in ... I am Zlatan ... by David Lagercrantz. A success also and from Kista Lights elsewhere, teachers as we are to the profession, we are pleased especially for the book found its way into so many new young readers, and also to the e-books have developed it in the story of Zlatan. PS If you want to make a scoop when it comes to the experience of Malmö will of course find the windowcleaner surrounding the Turning Torso and ask how they feel about the city. Such clips are now just a click away! Meet the window cleaner Jon Enstrom at the Turning Torso! From I'm Zlatan recommend Kista Light especially chapters from children and youth in Rosengård. Chapter where the text is alive and is a piece of contemporary literature. I am Zlatan is one of several modern Malmo Depictions compare with Yarden by Kristian Lundberg - canon - very good book and August Winning Underdog by Torbjörn Flygt. More fun might Hey Dolly by Amanda Svensson - the latter has the bloggats on the Kista Light. As you see above the english version of The Zlatan tour!